Enjoy 10% OFF @ Camp RiversLanding in Pigeon Forge. With coupon at check-in. Not valid with other discounts, holidays or special events. Based on availability. Some restrictions may apply. Use Promo Code: SML to receive discount. Camp Riverslanding offers more than just camping. They offer an opportunity to make memories! 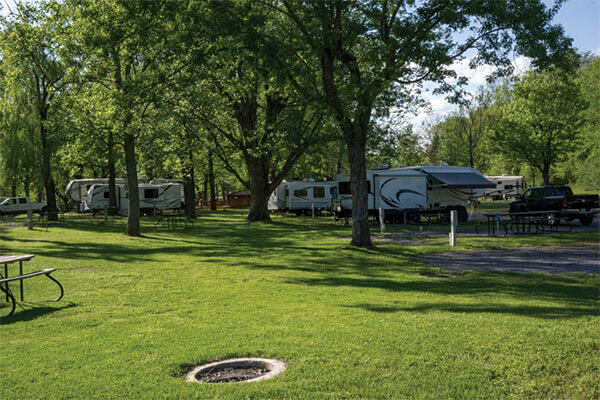 This premier campground in Pigeon Forge offers a camping experience with the comforts of home and the joys of camping with your loved ones. With a new heated pool, new centrally located bathhouse and tons of other great amenities, its sure to make your experience unforgettable. Be sure to book your trip today with Camp Riverslanding and get ready for some great fun in the Smoky Mountains! Check out this great campground here: Camp Riverslanding Pigeon Forge and be sure to mention SML for your great discount!